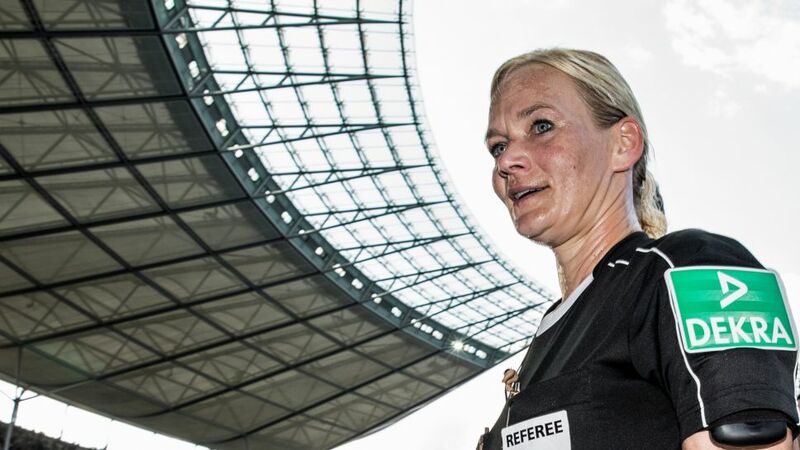 Bibiana Steinhaus has become a recognisable face since becoming the first female referee in any of Europe's top leagues, and she now hopes she can spark a new trend by becoming a role model for a new generation of referees. "I read an article where a young referee was interviewed and she said that she was inspired to take the whistle because of me," Steinhaus said in a recent interview with the BBC. "It's such a great honour to be the role model. The opportunities are there, the sport is there, the federation supports female officials in sport, you have every opportunity, go out there and grab it." The 38-year-old policewoman from Hanover officiated her first Bundesliga fixture back in September when Hertha Berlin welcomed Werder Bremen to the Olympiastadion. The eyes of the world were on her and, while she admits she was surprised to have caused such a stir, she insists there is nothing she would rather be doing than refereeing. Steinhaus was chosen by bundesliga.com as 'Woman of the Matchday' following her pioneering performance in Berlin on Matchday 3. "It was really exciting," Steinhaus said of her first game in charge. "It was great to be out there. The teams reacted really well to me and we as a referee team felt very relieved at the end of the day that it went pretty well for us." "You have to manage 22 totally different players under this microscope of media interest and with all the fans around, with all the noise and this great atmosphere in stadiums, with a heartbeat of 180 because you're running all the time. It's the best job in the world," she said. "To be honest, I totally underestimated the worldwide reaction to having a female official in this lovely sport. Of course I was nervous, but with the first whistle you totally get into the game as a referee and don't think about the circumstances, the atmosphere, the stadium, you are so focused on your job on the field that you blank it out." Steinhaus has now led two Bundesliga fixtures – also refereeing Schalke's Matchday 9 win over Mainz – and continues to officiate regularly in Bundesliga 2. Seeing her in charge of matches is becoming an increasingly regular occurrence with Steinhaus noting that "we are at the stage already where I'm not a female referee, I'm just a referee." While she is the first, Steinhaus now hopes that thanks to her own trailblazing efforts, she will not be the last female to referee in the Bundesliga. Click right here for more Bundesliga news, views and features!